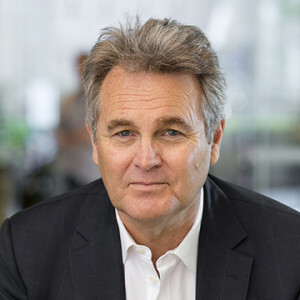 Seachangers, treechangers and tag along grandparents are just some of the older Australians reshaping the way we build our communities, says futurist and demographer Bernard Salt. Salt (pictured), who will be a keynote speaker at the Property Council’s Retirement Living Summit in November, coined the term ‘seachange shift’ early last decade, and last year kick-started the ‘smashed avo’ debate by querying whether young people should forgo brunch to save for a house deposit. He’s also suggested that Baby Boomers will make what we now call retirement fashionable by the end of the decade. But first things first. We won’t call it retirement, Salt says. Just as Kentucky Fried Chicken rebranded as KFC to disguise the word ‘fried’, and the Australian Pensioners Insurance Agency became Apia, retirement products will be rebranded to appeal to the forever-young. “Retirement is for old and obsolete people – lifestyle is what people want. So, if you have the word ‘retirement’ in your product, remove it now,” he advises. In the built environment, this will translate into more “gated lifestyle communities” with all the services and likeminded residents found in retirement villages, “but they won’t be called that”. The biggest restriction will be the distance that retirees will need to travel, Salt says. Closer to home, Australians will be looking for seachange settings, and the Bellarine and Mornington peninsulas in Victoria, Central and South coasts in New South Wales, and Gold and Sunshine coasts in Queensland will continue to appeal. But more people will stay put in their suburban homes in our biggest cities. Salt also points to the “indulgence” market – the upper-middle class Australians that have saved stacks of super and are downsizing to “smart, sleek apartments in the inner city or inner suburbia”. We can expect to see some Baby Boomers “gifting to their grandchildren” and trying to set them up in property, but more common will be the parents who follow their children to the city fringes to provide support for grandchildren. The last census uncovered Camden in Sydney and Point Cook in Melbourne as hotspots, for these “tag along grandparents”, Salt says. One of the trends that Salt says will be overlooked because of the scale is people retiring from farming properties to regional towns and cities, like Mildura, Dubbo and Wagga on the East Coast, the Fleurieu Peninsula in South Australia and the Margaret River on the West Coast. “This trend will provide opportunities for the property industry in these communities,” he says. But hold fire on investing in the Red Centre, Salt warns. Salt says our current focus is on what he calls the “glamour end of retirement, if that is not an oxymoron” – where people sell their suburban home for a “motza” and buy a smart apartment in the inner city or on the Gold Coast. But the less glamorous end, where people living in “cream, 1960s brick homes in the suburbs” want their homes made over, is where the big opportunities lie. Salt says the opportunity for every property group in Australia is to “think laterally”. Forget the Gold Coast or the peninsulas. That’s traditional thinking, he says. A more sophisticated strategy may mean looking at the offshore retirement trend, or investigating how to help middle Australia make their homes ‘lifestyle’ friendly at a reasonable price point, he says.